After a pregnant woman is murdered by her married boyfriend, the filmmaker learns that homicide is the leading cause of death during pregnancy, and seeks to discover the characteristics of potentially homicidal relationships. Conversations with experts and survivors of intimate partner homicide attempts provide a picture of the anatomy of abusive relationships, while law enforcement and the people who loved Jenn alert us to the signs that she missed. Along the way, the media is taken to task for its ineffective reporting of domestic violence homicides. 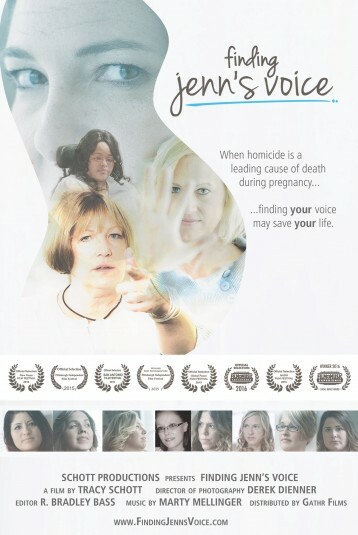 Ultimately, it is the voices of survivors who help us to find Jenn's voice, leaving the viewer with a message that is hard to forget.